What is it? Made by whisking organic butter and coconut oil into your regular double espresso. Health claims Those who rave about bulletproof coffee claim that it helps to prevent the jitters that typically come with drinking regular coffee, but also that it boosts brainpower and can even promote weight loss by suppressing appetite. However, there’s no convincing scientific proof that it is any better than normal coffee. 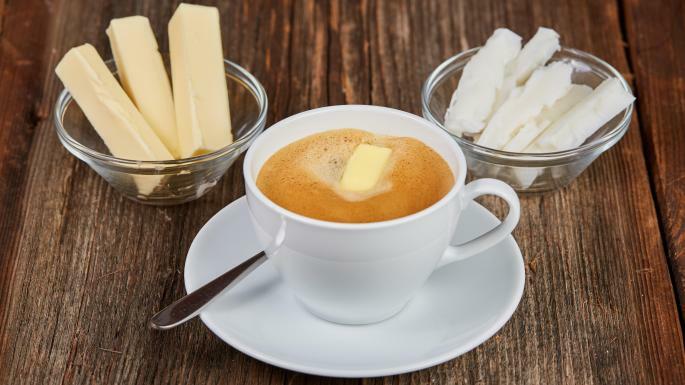 And, given that a mug of coffee mixed with fat can amount to 450 calories and up to 40g of fat, it is hardly a dieter’s dream. Who drinks it? Hard-bodied yummy mummies. Big in west London — not so big outside London. Popular with celebs such as Ed Sheeran and Harry Styles. What is it? Another dairy-free option, this time made with oat milk and an espresso shot, finished with a dusting of chocolate powder. Health claims Oats are rich in soluble fibre, especially cholesterol-lowering beta-glucans, which aids digestion and has been linked to lowering cholesterol levels. Oat milk is derived from soaking the oats in water to leave a milky-looking liquid. “Oat milk contains quite a bit of useful fibre,” Pigott says. “It’s lower in protein than cow’s milk, so won’t be as satiating, but it’s usually fortified with vitamins and calcium so is a reasonable alternative.” An oat cappuccino contains 96 calories per cup, compared with about 84 in a cow’s milk version. Who drinks it? Eco-warriors who have stopped drinking almond milk because it is bad for the planet. What is it? A green or black tea that has been fermented by using a colony of bacteria and yeast. It tends to be served chilled and sweetened. Who drinks it? Gwyneth Paltrow and a host of female A-listers. What is it? Not to be confused with iced coffee (keep up), but made by steeping coffee grounds in room-temperature or cold water for up to 24 hours to produce a concentrated coffee essence that is then diluted with water and served hot or cold. Who drinks it? This has taken over from the skinny flat white as the hipster coffee of choice. What is it? Matcha is made from powdered and ground-up green tea leaves and, in addition to being served as a tea, is a popular ingredient in dairy-free lattes. 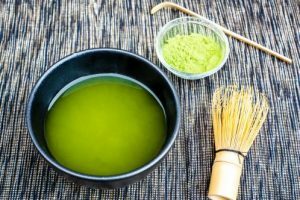 Health claims Some studies have shown that matcha provides three times the amount of polyphenols and antioxidants as regular green tea — because it is powdered you’re consuming the leaves as opposed to infusing them in water and then discarding them. It does contain caffeine, but only about 25mg a cup compared with the 100mg or so in a cup of coffee. It’s also said to speed up the metabolism. “There’s actually very little research confirming matcha’s specific benefits and a lot of its purported powers are anecdotal,” says Aisling Pigott, a dietician and spokeswoman for the British Dietetic Association. Who drinks it? It is popular with the yoga crowd and models. It went mainstream after it was used as an ingredient in Bake Off. What is it? A dairy-free coffee that is cropping up in cafés everywhere. Made with fashionable coconut milk instead of cow’s milk. Health claims Coconuts are rich in fibre, vitamins and minerals, including iron, selenium, sodium, calcium, magnesium and phosphorous. The “milk” is made by grating and soaking the white coconut flesh in water and extracting the white liquid that is left after it has been sieved. “There are no benefits to it over cow’s milk in nutritional terms, but it’s a very useful alternative for people who struggle with dairy produce,” Pigott says. You may be looking at more calories, though. A regular coconut flat white contains 102 calories per serving, compared with 80 in a cows’ milk version. Who drinks it? Everyone who has bought into the craze for coconut as the new superfood. What is it? 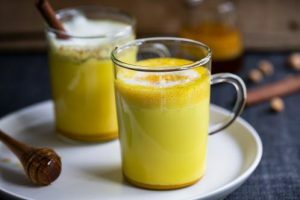 It looks like a creamy, caffeinated latte, but is in fact cold-pressed turmeric juice (made by steeping the root in water) added to almond, coconut, cashew or cow’s milk. 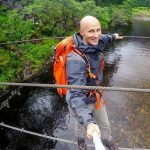 Health claims Studies have confirmed that turmeric has a unique range of compounds and essential oils that boost health. The benefits are down to curcumin, the pigment that gives it its bright yellow colour, with dozens of clinical trials showing that it plays a role in preventing everything from irritable bowel syndrome and arthritis to certain forms of cancer. “There are benefits to consuming turmeric, but you wouldn’t get much of it in this drink,” Pigott says. Who drinks it? The wellness brigade. Now you can get one in Pret a Manger — ask for a Golden Turmeric while trying to keep a straight face. What is it? A tea made from the caffeine-free rooibos and flavoured with a blend of organic cacao nibs, cinnamon, chicory and coconut. 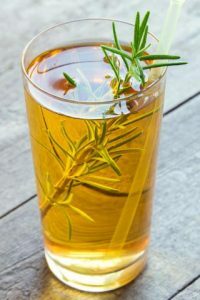 Health claims Rooibos — or “red bush” — isn’t strictly a tea, but an infusion made from a plant that’s part of the legume family and grown in South Africa. It is packed with antioxidants, and a study by the South African Medical Research Council suggested that it may be able to prevent or delay the onset of type 2 diabetes. It’s rich in chrysoeriol, an antioxidant that helps to prevent and treat vascular disease, and a study at the Cape Peninsula University of Technology showed lower risk of heart disease in adults who drank six cups daily for six weeks. Who drinks it? With two caffeine substitutes in one drink, this is a popular one for former caffeine addicts.